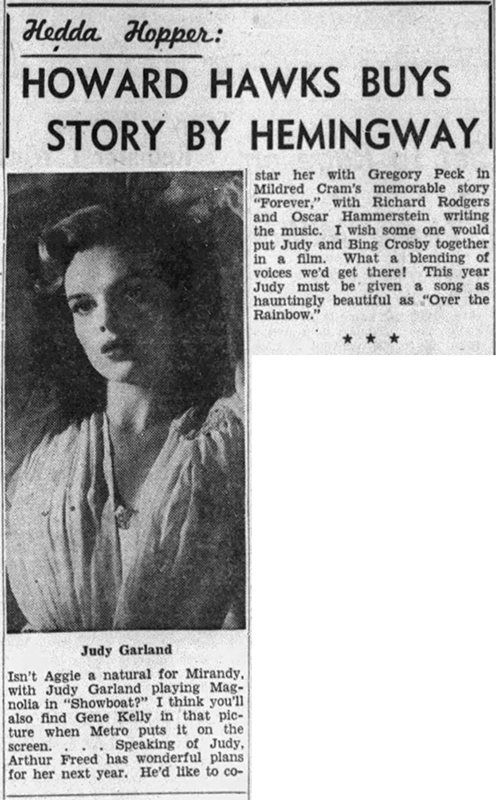 February 1, 1937: A milestone in Judy’s career. 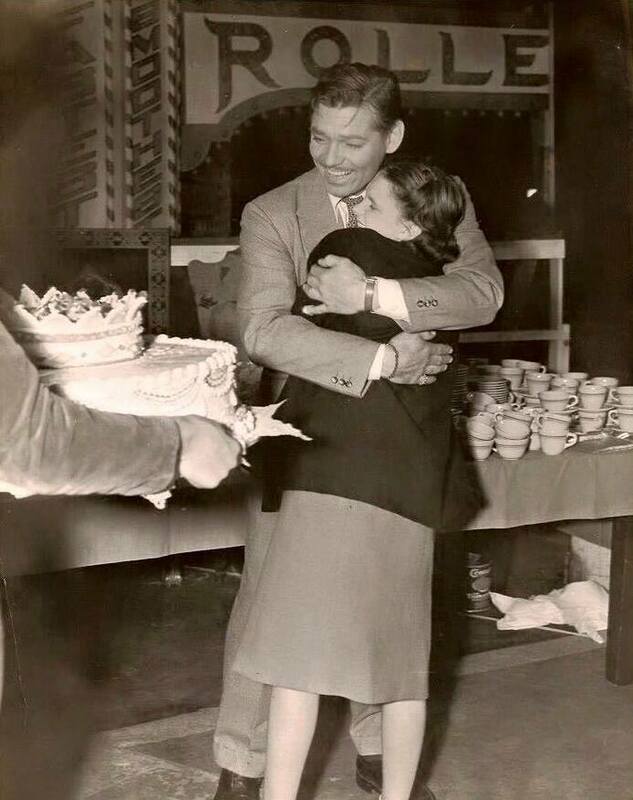 At Clark Gable’s thirty-sixth birthday party, held on the set of his film Parnell. 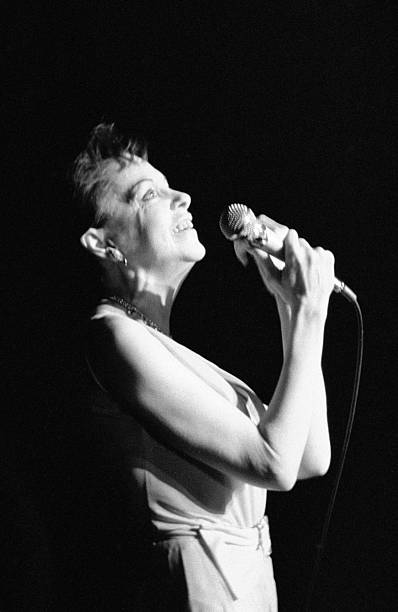 Judy performed her first public rendition of what would become her first major hit, “(Dear Mr. Gable) You Made Me Love You.” That same night, at another party for Gable at a benefit at the Trocadero, Judy introduced the number officially. At this point, the number had some different specialty lyrics (provided by Roger Edens) that were industry-centric and poked gentle fun at a recent issue with a crazy fan making claims against Gable in letters that began “Dear Mr. Gable.” The lyrics that we now know were added at some point before Judy’s rendition of the song at an MGM dinner/dance on February 22nd. 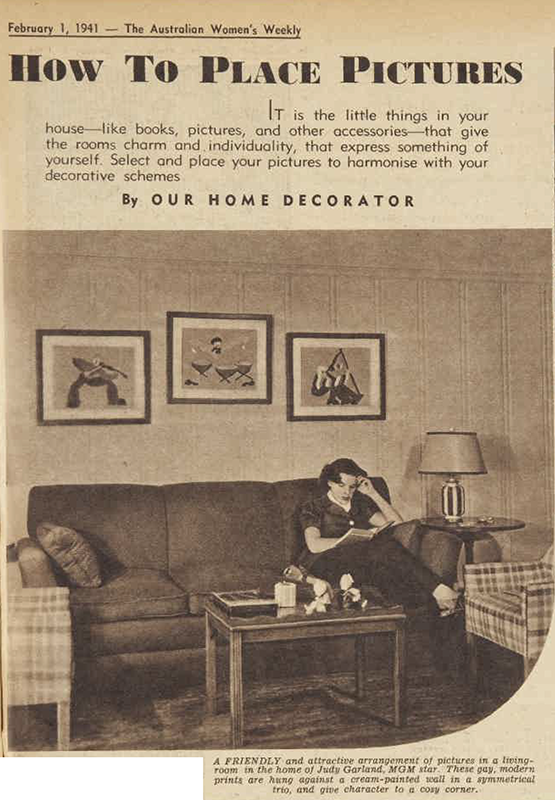 February 1, 1941: The “Australian Women’s Weekly” newspaper insert featured this photo of Judy at home, part of an article on how to successfully place pictures in the decor of one’s home. 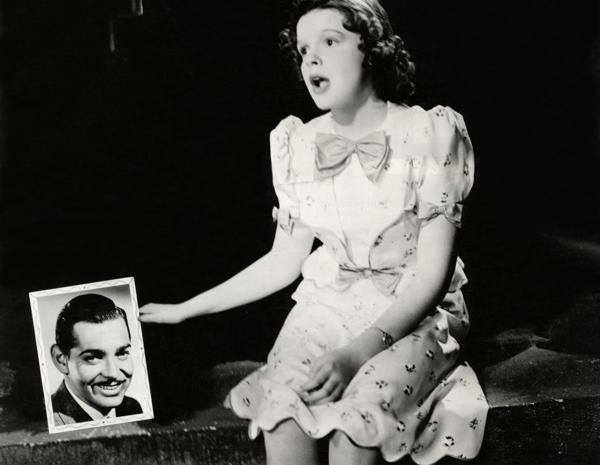 For instance, M-G-M has gone to great pains to put over Judy Garland as a blushing baby starlet. Long after she’s outgrown them, Judy had to wear heeless slippers and stand childlike on the sides of her feet. Her dresses hid too plump knees and those hats – well, no kindergartner would have been caught dead in those hats. Judy suddenly grew tired of the whole masquerade. So overnight she grew up, got herself glamourfied like other girls her age, made no bones of her love for Dave Rose, the ex-husband of Martha Raye – and that was that. Even then her studio didn’t give up without a struggle. 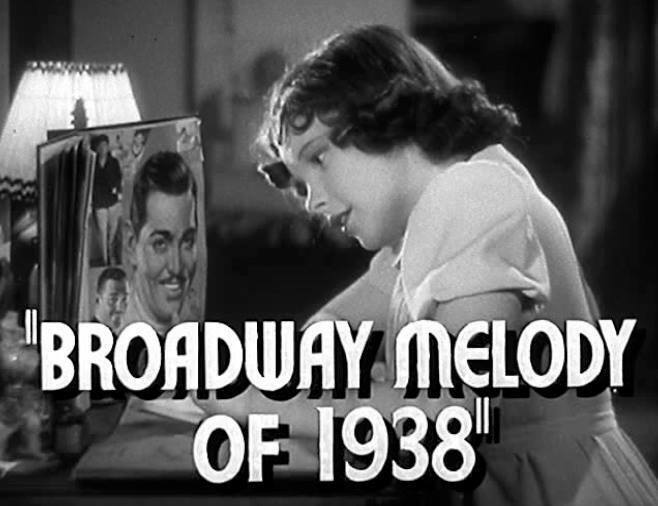 When Judy was cast opposite George Murphy in “Little Nellie Kelly” and received her first screen kiss (excepting the Mickey Rooney pecks) the studio quoted Judy as opening wide her eyes and claiming, “is this all there is to a kiss?” Whether Judy or Hollywood groaned the louder is problematical. Now the star has begged to be allowed to wear clothes befitting her age in “Ziegfeld Girl.” “They just won’t or can’t seem to grasp the idea I’m growing up,” she says. Now comes Martha Raye’s announcement from New York to the effect that Dave and Judy have been in love a long, long time and will marry when Martha’s divorce is final. Despite all studio protests, friends maintain that Judy will do just that. 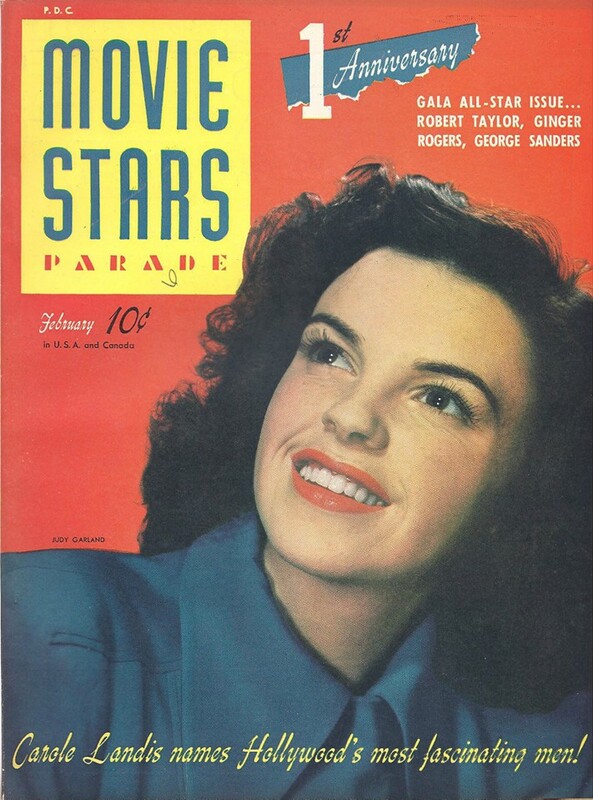 February 1, 1942, & 1943: Judy Garland made a lovely cover girl! 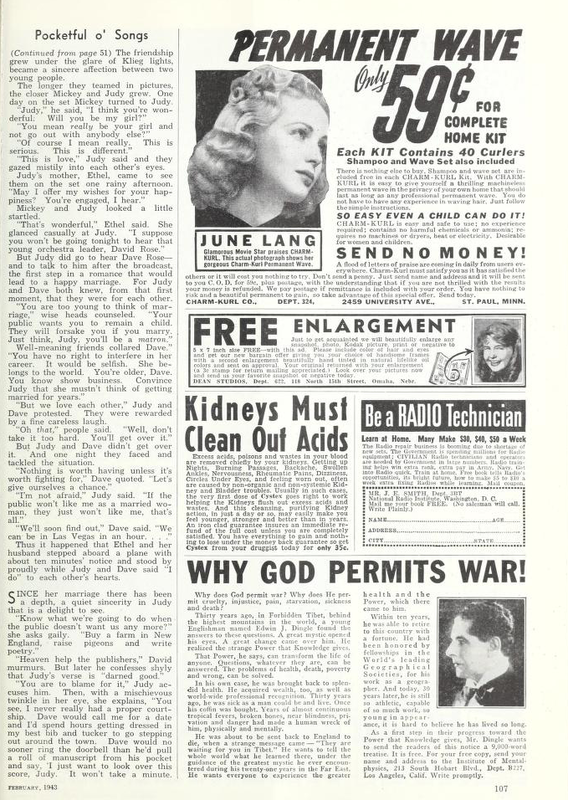 February 1, 1943: “Pocket Full O’Songs” – this article about Judy appeared in the February issue of “Photoplay” magazine. 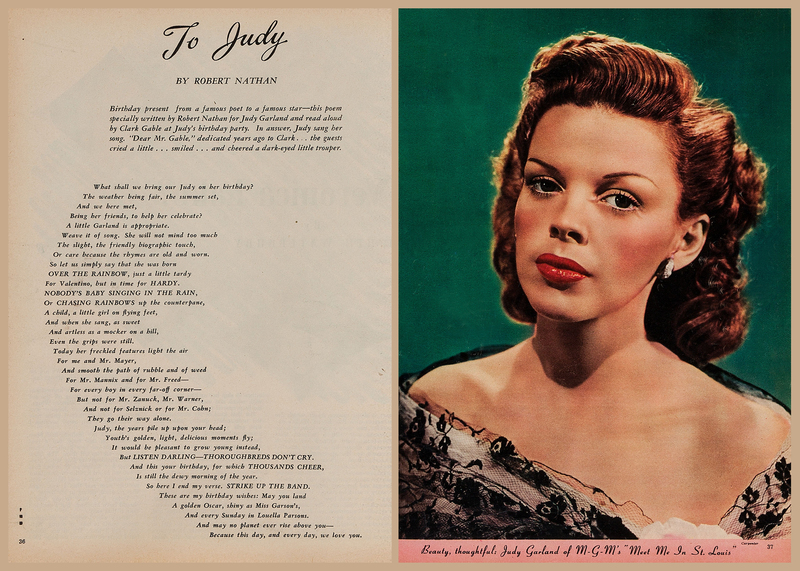 February 1, 1944: The “Photoplay” magazine for February 1944 featured this poem to Judy by Robert Nathan. 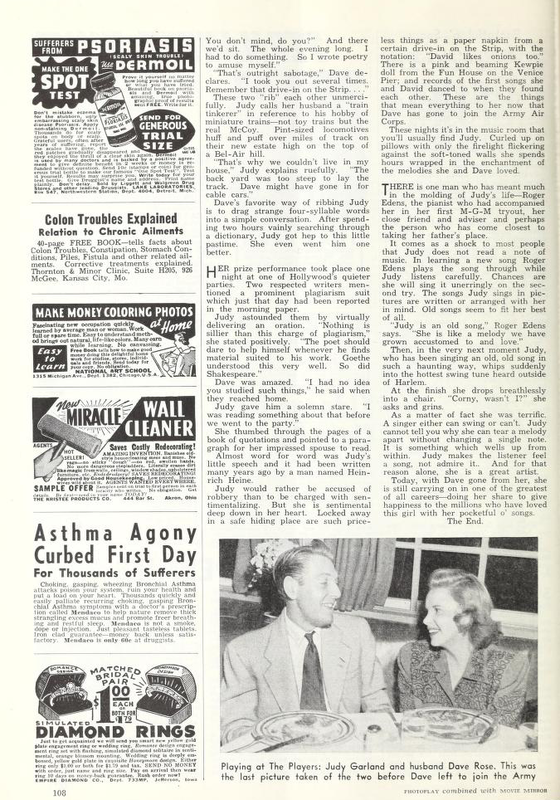 February 1, 1945: This ad for Meet Me In St. Louis appeared in the “Film Daily” trade magazine. 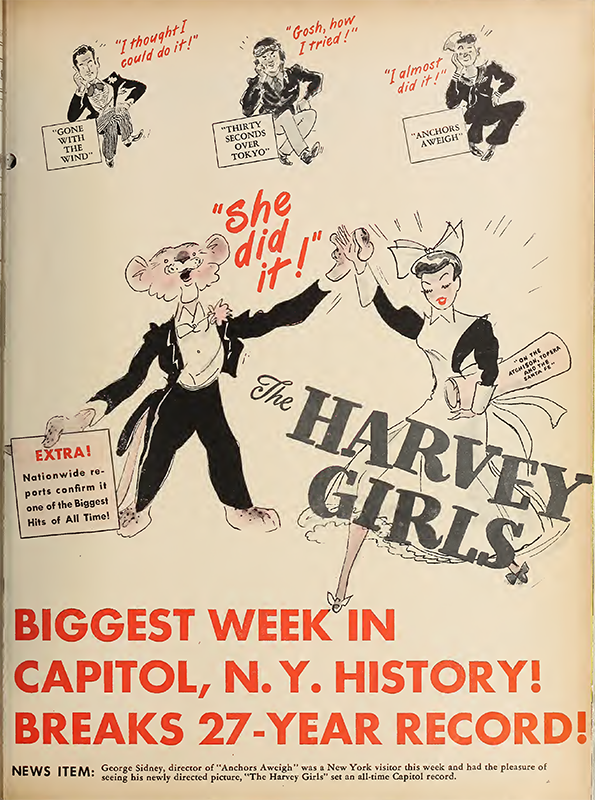 On this date, Judy had a wardrobe fitting for The Harvey Girls. Time called: 2:00 p.m.; Judy was on the set at 2:15 p.m.; dismissed: 3:15 p.m.
February 1, 1945: MGM’s own “Lion’s Roar” magazine featured this great Hirschfeld artwork for Meet Me In St. Louis. 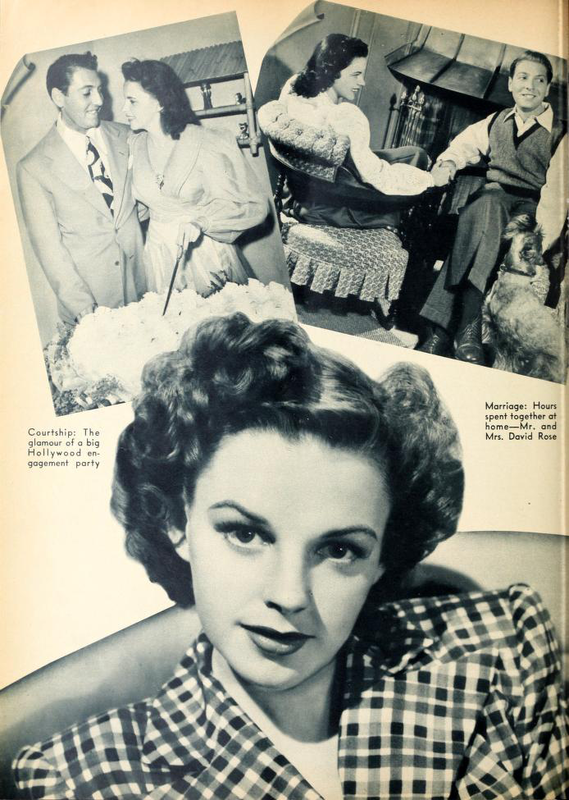 For details about all of the known film projects that Judy was allegedly considered for, check out The Judy Room’s “Films That Got Away” page. 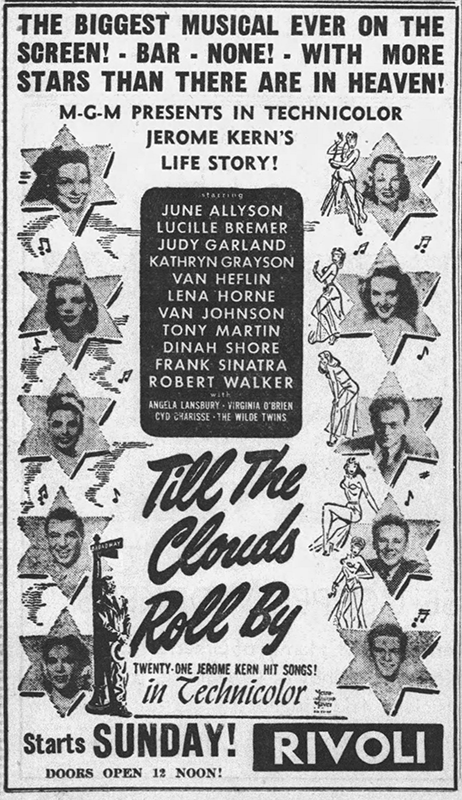 February 1, 1947: Till The Clouds Roll By was a monster hit for MGM. Here are a few more newspaper ads. 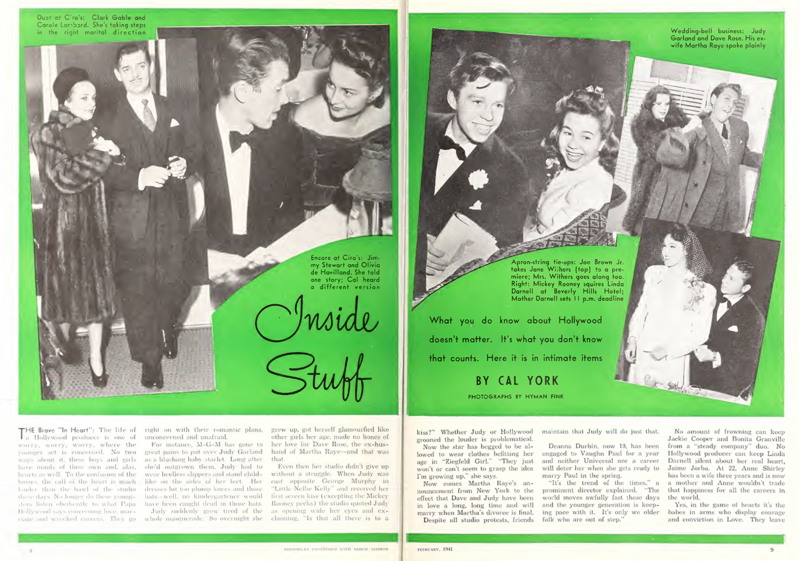 February 1, 1954: Filming continued on A Star Is Born on the “Interior Malibu Home” set. Time stared: 10 a.m.; finished: 5 p.m. It’s unknown exactly which scenes were filmed. The “Someone At Last” number did not start filming for a few days, that we know of. This day might have encompassed some of the scenes that bookend the number. Photo: Judy and director George Cukor on the “Interior Malibu Home” set (most likely taken during the filming of “Someone At Last”). Provided by Kim Lundgreen. Thanks, Kim! February 1, 1961: The $30,000 lawsuit that Jack Warner (head of Warner Bros.) filed against Judy and husband Sid Luft, for the monies he loaned them, was settled out of court for $500. February 1, 1964: The first day of a one-week break that Judy took from taping “The Judy Garland Show.” She flew to Manhattan with daughter Lorna and son Joe. Judy attended “The Fantasticks” featuring daughter Liza Minnelli and Elliot Gould, at the Mineola Playhouse in Long Island, NY. She also made a personal appearance at an Eleanor Lambert fashion show. Judy slipped in her suite at the Sherry-Netherland Hotel on Saturday, February 8, suffering a mild concussion, and spent the night at Mt. Sinai Hospital, where she was accompanied by her physician, Dr. Kermit Osterman, but was released the following day. Judy took Lorna and Joe to the CBS headquarters in New York to watch the first “concert show” of the series, which followed The Beatle’s appearance on the “Ed Sullivan Show.” Not a bad lead-in to her series that night! Photos: Judy’s recent announcement about her departure from the show was still in the news although everyone, including the columnists and the public, knew that the real reason was the mishandling of the show by CBS. February 1, 1966: Judy attended Arthur Godfrey’s closing night at another room in the Diplomat Hotel, in Hollywood, Florida. Judy opened in the main room the following night. Judy was then seen clowning and singing on stage at the Tack Room of the Diplomat with Kay Stevens and Linda Bennett. February 1, 1969: Judy played her last scheduled performance at the Talk fo the Town in London, England, completing a five-week engagement. 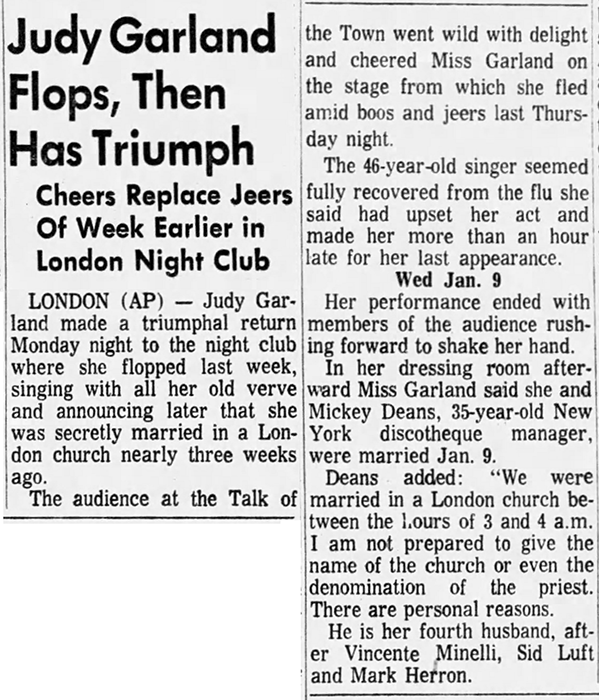 Backstage after the show, Judy told reporter Michael Dove that she and Micke Deans planned to settle in London and “take over a club and run it and will make it a thriving business.” When asked if she would sing at the club, Judy said: “of course.” The nightclub Judy and Deans planned to buy was in the West End, in the Haymarket area, a side street off Picadilly Circus. Deans was to be the general manager, and Judy would sing whenever she wished. This never happened. 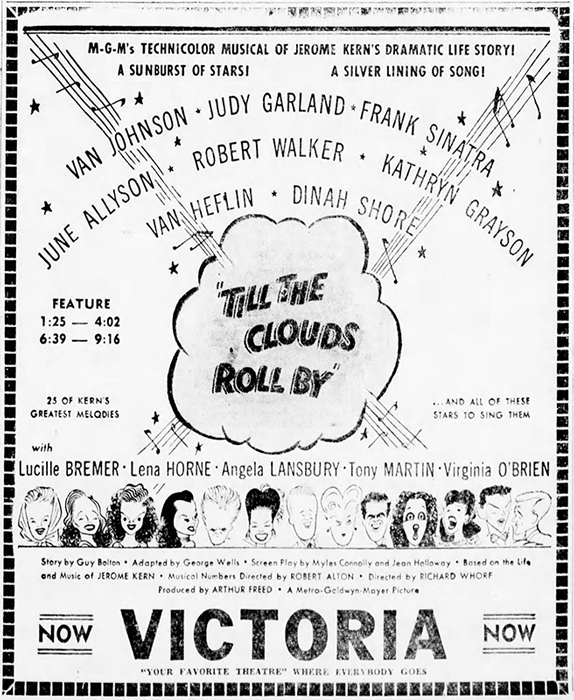 Judy also told fans after that last show that she would be going to New York City briefly to tape a television commercial with Mickey Rooney for TWA Airlines. Rooney did tape a commercial for Braniff Airlines but with Rex Reed, not Judy. 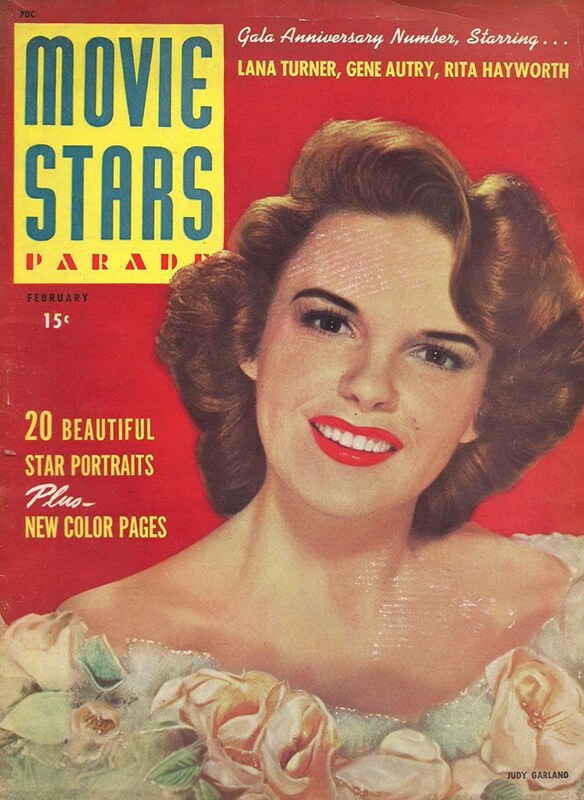 While signing a fan’s magazine cover before leaving the club, Judy said about that photo of herself on the cover, as she covered the eyes, and then the mouth on the photo with her hand: “See? The mouth smiles … but the eyes do not.” Judy left the club at 2 a.m.
Photo: Judy in performance at the Talk of the Town on January 16, 1969, and a clipping from February 2, 1969. 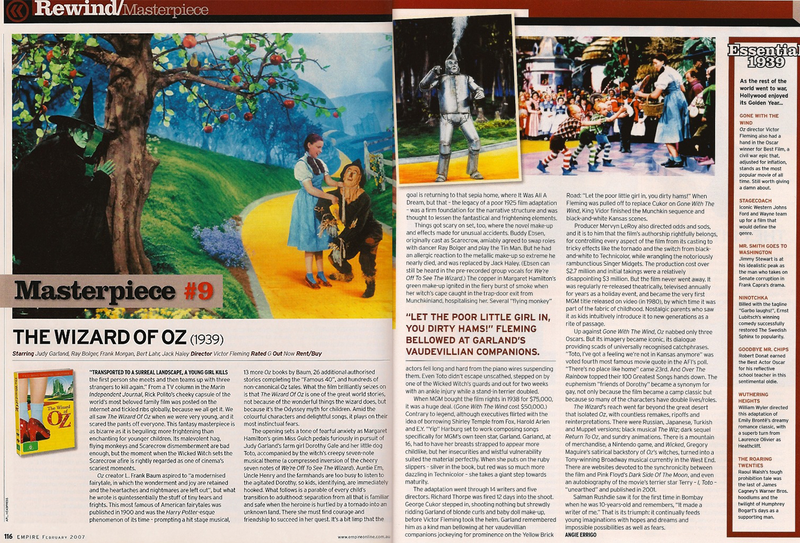 February 1, 2007: “Empire” magazine’s list of movie masterpieces placed The Wizard of Oz at #9.